Please note that above price is subjected to change and is for reference purpose only. Kindly contact Mitsubishi Nepal to get the latest showroom price. Note: Mitsubishi car and pickup price list was last updated on February 22, 2019. Mitsubishi cars in Nepal are exclusively distributed by Leon Motors Private Limited. Mitsubishi Motors, part of Mitsubishi Group, is a Japanese multinational automotive company. In Japanese, “Mitsu” means “three” and “hishi” means water chestnut. When combined, it’s pronounced as “Mitsubishi”. It is the sixth biggest auto manufacturer in Japan and sixteenth worldwide. With history of near about 100 years, it has produced some of the most innovative cars of the world to this date. Since late 2016, one third of company’s share is owned by Nissan. Since, Nissan & Renault had already formed an alliance; Mitsubishi is now part of that alliance. Apart from cars, Mitsubishi Motors produces buses, trucks and heavy equipment. It is sold over 160 countries around the globe including Nepal. In Nepal, Mitsubishi only sells its models of cars and pickup through Leon Motors Pvt. 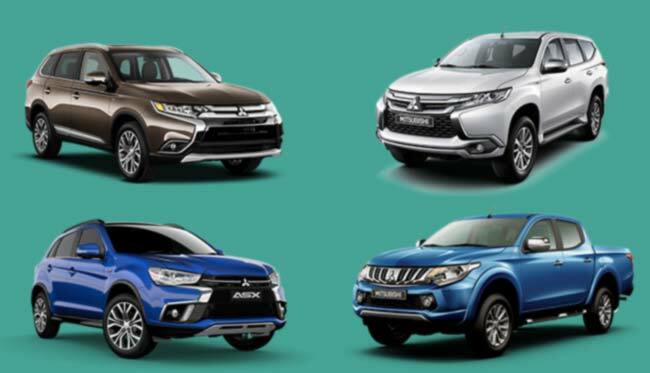 Ltd. Models of cars available in the country include ASX, Outlander, Eclipse Cross and Pajero. Apart from that Leon Motors is selling automatic engine variant of L200 model of pickup trucks. Compared to other brands in Nepal, price of Mitsubishi vehicles come in premium range. However, their comfort, style and design make them worth the price. Or you can message us your queries regarding Mitsubishi car price in Nepal or its specifications, features at our Facebook page.